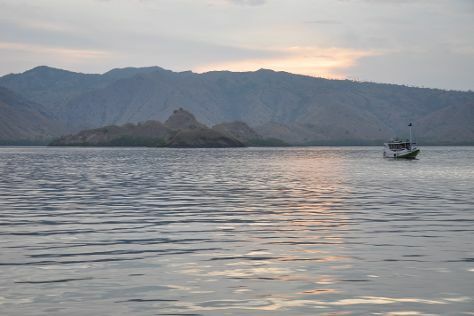 A trip to Labuan Bajo, an idyllic fishing village at the northwestern tip of Flores, offers the chance to unwind and experience traditional life without sacrificing comfort. Eschew the tourist crowds and head to Kalong (Flying Foxes) Island and Wae Rebo Village. Step out of Labuan Bajo to go to Ruteng and see Wae Rebo Village, which is approximately 1:20 hours away. The adventure continues: tour the depths of the sea with a submarine tour, take in the dramatic scenery at Cunca Wulang Waterfall, relax and rejuvenate at some of the top local wellness centers, and see some colorful creatures with a scuba or snorkeling tour. To get where to stay, photos, more things to do and more tourist information, read our Labuan Bajo travel guide. Use the Route module to find suitable travel options from Singapore, Singapore to Labuan Bajo. Finish your sightseeing early on 1st (Mon) so you can travel back home.